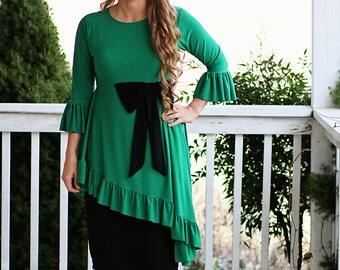 The ALEXANDRIA ruffled peplum shirt. 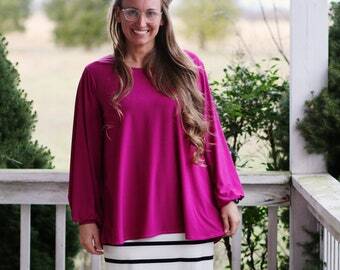 Super comfy shirt but super dressy! 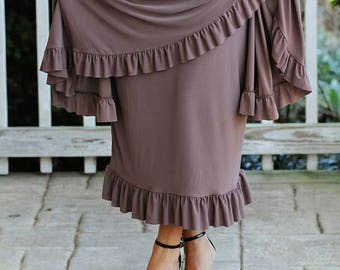 The back features a cascade of ruffles down the back. 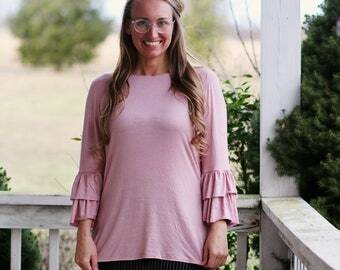 Double ruffle sleeves and the bodice will be lined for modesty which means there won't be a neck band like is shown in the picture. Please check the measurements and order accordingly. All fabric options are knit. All seams are serged. Allow 2-4 weeks for your shirt to be made and delivered.